This book isn’t about dying. It’s about life and what life has to teach us. It’s about caring and what giving care really means. 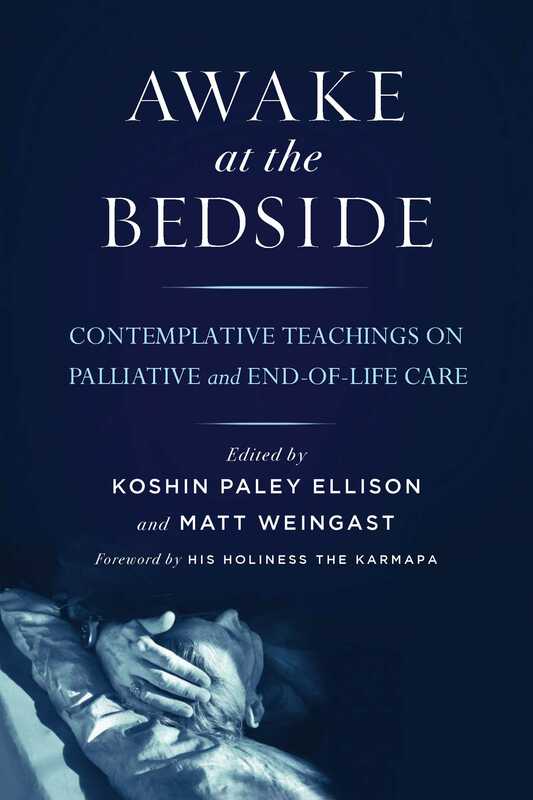 In Awake at the Bedside, pioneers of palliative and end-of-life care as well as doctors, chaplains, caregivers and even poets offer wisdom that will challenge, uplift, comfort—and change the way we think about death. Equal parts instruction manual and spiritual testimony, it includes specific instructions and personal accounts to inspire, counsel, and teach. An indispensable resource for anyone involved in hospice work or caregiving of any kind. Contributors include Anyen Rinpoche, Coleman Barks, Craig D. Blinderman, Bhikkhu Bodhi, Joshua Bright, Ira Byock, Robert Chodo Campbell, Rafael Campo, Ajahn Chah, Ram Dass, Kirsten DeLeo, Issan Dorsey, Mark Doty, Norman Fischer, Nick Flynn, Gil Fronsdal, Joseph Goldstein, Shodo Harada Roshi, Tony Hoagland, Marie Howe, Fernando Kawai, Michael Kearney, Elisabeth Kubler-Ross, Stanley Kunitz, Stephen and Ondrea Levine, Judy Lief, Betsy MacGregor, Diane E. Meier, W. S. Merwin, Naomi Shihab Nye, Frank Ostaseski, Rachel Naomi Remen, Larry Rosenberg, Rumi, Cicely Saunders, Senryu, Jason Shinder, Derek Walcott, Radhule B. Weininger.